I think ’double jumps’ is the laziest/stupidest feature you could include in a game. You know what's worse? A poorly implemented, difficult to control, hi-jump. The high jump is just a temporary modification of the initial Y velocity of the jump. Everything else, including gravity, stays the same. Double jump is a standard ability in many metroidvanias and while Zelda 2 isn't a true metroidvania, it's pretty damn close. A double jump would just give more versatility to the players ability to fight. Especially against Fokkas in the final palace. I don't think it would make it necessarily easy but the high jump has one use really whereas a double jump could be used in many places. i would rather "learn" double jump from a move tutor and it not even cost magic, and re-lable the "Jump" spell "Moonjump"
so if you cast "Moonjump" and knew how to double jump, you could double moon jump. as it is, i never use Jump, except when i have to. this would make it totally optional in game and still have both variants. if you want traditional, dont talk to the move tutor. just like you can play with or without up/down thrust. It's just the nonsensical nature of double-jumps that makes them off putting. And that many piss-poor platformers implemented them because it made an easy upgrade to implement. This is getting fairly outside the scope of Redux, don't you all think? I should have time in the next few weeks to power through the whole game! I'll be happy to post full opinions then. How are the final updates going? Seems most of everything you planned is complete. I suppose the last thing is the menu controls? It'll be awesome to see what DarkSamus does. That preview he showed of the menu was great. Let me know if there is anything left that I can help with! How are the final updates going? Seems most of everything you planned is complete. I suppose the last thing is the menu controls? It'll be awesome to see what DarkSamus does. I took a break the past several days, so there's still some work to be done. I'll be starting back in on it today or tomorrow. Things are moving along smoothly. Ah, cool! I can't wait to see it. I took my time to try to polish the ending sequence of the game. 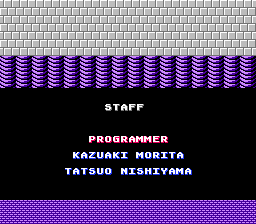 I managed to get the full credits with the real developer names in the credits. Only thing is that I couldn't get the "STAFF" letters to be centered. 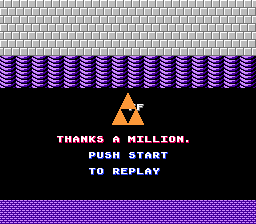 If I move them to the right a bit, the last letters don't disappear by the time the triforce appears on screen with the "THANKS A MILLION" message. 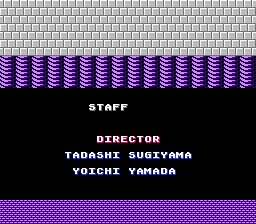 oh pretty, i kinda like the look of "Staff" being a little off center. gives it a nice presentation, if you ask me. and i love that the real programmers and developers are getting credit now! good on them! (and you) so much!! Will you show an image? I don't remember the ending sequence all that well. 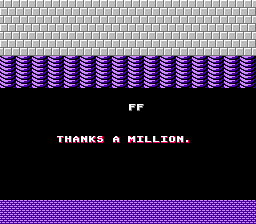 You might have to move the "THANKS A MILLION" text, as well, so it will cover the new position of the "STAFF" text. It's something really minimal to be honest. Here's some images, I changed the tilemap of the "STAFF" letters from 21 CB 05 to 21 CD 05 at 0x15068. I don't think moving the THANKS A MILLION text could help here, since the STAFF text is handled by an entirely different routine I believe. Somewhere around 0x15000 for sure since that's where the text is being read from. Oh I think I fixed it. At 0x1517E you have [21 CB 45 F4 FF], changing that to [21 CD 45 F4 FF] alongside the change at 0x15068 with [21 CD 05] seems to have done it. Does the data at 0x1517E do anything? 21 CB 45 F4 Just from looking at it, it appears this bit of code draws 5 tiles (F4) to cover up the "STAFF" text. Check it out, let me know! I don't have an easy way to test the ending sequence, but I'll look into it more if you need. Ah, I see you fixed it. Cool! Just a few mins before you posted. That went quite smoothly, I'm happy with the results. What did you decide for King's Tomb? Final release is soon! The rush of updates and improvements has calmed down recently, so I imagine there is nothing left to be done. I'm excited to see the new menu DarkSamus creates! If you can think of anything else you'd like done, just let me know and I'll see if I can help. And yeah I'm really intrigued on what methods DarkSamus uses for the new menu stuff. As for anything I might like to get done, I can't think of anything at the moment to be honest. I'm really happy with the final result right now. As soon as I update stuff, I update the patch in the OP as well, so if you guys want to get the latest beta, OP is the place!